Welcome to UZHHOROD NATIONAL UNIVERSITY . Uhhorod National university's degree is recognized by the world health organization, U.S. Education Department, General medical council of England, European Union countries and more than 40 countries.University is also Recognised by indian medical council. Uzhhorod national university is recognized by (WHO)World Health Organization. Clinical departments of the University are located on the basis of many special city and republic hospitals, which allows future doctors to get practical skills and develop clinical thinking during students days. At present there work 570 teachers at 60 departments of 4 schools; among them there are 98 Doctors of Medicine, 80 professors, 140 assistant professors, and 291 candidates of medicine. The total strength of the foreign students in Uzhhorod state Medical University is 700. The medium of instruction of medicine course is English. All the 6 years of the medicine course is conducted in English. The duration of the medicine course is 6 years including one year internship. For the medicine course you can apply now, we have only limited seats. Kiev or Kyiv is the largest city of Ukraine. It is the capital of Ukraine. It is also one of the biggest cities in Europe. Thus, it has many administrative centers as well as cultural, economic, scientific and educational centers also. This city is surrounded with many scenic and heart-loving locations and also has the population of about 3 million people. This city is located on the shores of the Dnieper River. Kiev has an important value among other European cities because it is the home to many scientific, cultural, educational and industrial centers of Europe and also Kiev is known to be as a home to many advance & high technology industries, higher educational institutions for various streams. KIEV MEDICAL UNIVERSITY,KIEV is accredited by the Ministry of Education and Science of Ukraine (accreditation certificate is РІ-IV № 114479 — 01.10.2010) and it has the license of the Ministry of Education and Science of Ukraine of improving educational work for IV level of accreditation (license is AВ № 552628 — 01.10.2010). There are 2500 students studying at KMU, including 859 international students from 39 countries. There are General Medicine, Pediatrics, Pharmacy and Stomatological (Dentistry) faculties, the Preparatory Faculty for international students training, the Postgraduate Faculty and the preparatory training course department. A medical college, training bachelors and junior specialists, has been founded based on the KMU. 56 chairs, including 9 leading ones, function at the KMU Clinical and consulting work is carried out at 35 clinical chairs of the KMU, located at the best regional and city medical establishments of Kiev. The scientific potential of the KMU is represented by 82 Doctors of Medical Science, 316 Candidates of Science, 75 Professors, 174 assistant professors, 2 winners of the Ukrainian State Prize, 8Honoured Science and Technology workers of Ukraine, 6 Honoured Physicians of Ukraine. Modern, multidisciplinary university with the right to autonomous control. Founded in 1903. The university has 615 teachers, including 104 doctors and professors and 417 associate professors and candidates of science. 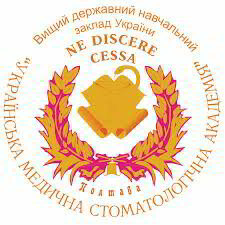 Among university scholars of NAS of Ukraine, 46 members of international academies of sciences and international scientific societies, eight Honored Scientist of Ukraine, four winners of the State Prize of Ukraine, the six winners of prizes Sciences of Ukraine, winner of the President of Ukraine, two Laureates of the Cabinet of Ministers of Ukraine, four Honoured Doctor of Ukraine, the Cabinet of Ministers of the two scholarship for young scientists. Accreditation level 4. Qualification levels: Bachelor, Specialist, Master. The university has 615 teachers, including 104 doctors and professors and 417 associate professors and candidates of science. Medical Research and Training Center "University Hospital"
Institute of Clinical Pathology NGO "Farmatron"
Education at the University includes pre-university education , university and postgraduate stages of learning . Pre-university stage - the preparatory faculty for foreign students - one of the oldest preparatory department of the CIS countries . It is a center for training foreign students for further study at universities in Ukraine. Foreign students and their specialization is in two faculties : medical and pharmaceutical . Medical care . Qualification: Doctor . Education - 6 years. Dentistry . Qualification: Doctor . Education - 5 years. Pediatrics . Qualification: Doctor . Education - 6 years. Laboratory diagnosis . Qualification: Bachelor of Laboratory . Education for 4 years. Pharmacy . Qualification: Pharmacist . Education - 5 years. Technology of perfumery and cosmetics. Qualification: Pharmacist cosmetologist . Education - 5 years. The University has developed material and technical base, science labs and computer classrooms, distance learning and telemedicine, using the latest scientific and educational technology. The University has 42 computer classes computers in 1300, so our students are taught using multimedia technology. Conducted computerization in the library, all the campus is WI-Fi zone. Practice is held in 30 regional and urban teaching hospitals, 12 dental centers, 107 basic pharmacies. There are 160 beds in the University`s Hospital, clinic, consulting professor`s University Center, a modern laboratory of pathologic diagnosis, metabolic disorders center, the center of gerontology, center of respiratory pathology and allergy. Material and technical base 26 computer labs, 727 computers, the university has a unique equipment for basic and applied research :endoscopy, radioisotope diagnosis, CT scanners, Ultrasound Devices. ZSMU has a campus on the picturesque banks of the Dnieper. This is - separate territory , guarded 24 hours a day. There are four academic buildings ,five dormitories, canteens and several cafes in the student`s town . The territory of ZSMU well equipped and cozy , is surrounded by greenery and flowers. Classes for younger students are held to the theoretical departments in academic buildings on the campus . Senior students enrolled in the departments of therapeutic profile in clinics, located near the university. Student halls of the University are designed for 2,900 residents , and 2 dorms allocated for residence of foreign nationals . Dorm rooms are made up of people at 1-2-3 with all amenities. In the hostels organized online classes. The faculties of the University today enrolls more than 4,000 students , masters, interns and graduate students, including over 700 foreigners from 43 countries . 30 years of quality education of international students from the Middle East, Asia , Africa and Latin America, Europe has allowed the university to win great international prestige and recognition. Many foreign graduates successfully work and occupy high positions in the health care system in their countries. The teaching process is organized by a multilevel system : Bachelor - Specialist - Master . Training is conducted in Russian and in English - for English speaking international students. The training program at the university is not only professionally oriented, but also offers a broad intellectual and cultural development of students, and serves as the foundation for subsequent specialization. Departments of ZSMU trained medical interns of specialties: Pathology and Forensic Medicine of the basics right , tuberculosis and pulmonology , general surgery and patient care , anesthesiology and critical care medicine , oncology , hospital surgery , urology , radiation diagnosis and therapy, traumatology and orthopedics ; Obstetrics, gynecology and reproductive medicine, neurology, psychiatry , drug abuse and health psychology, Dermatology and Venereology, infectious diseases, otolaryngology and dentistry , ophthalmology , family medicine and therapy . Departments ZSMU, which trained clinical interns : Pathology and Forensic Medicine of the basics right , tuberculosis and pulmonology , general surgery and patient care , anesthesiology and critical care medicine , oncology , hospital surgery , urology , radiation diagnosis and therapy, traumatology and orthopedics , obstetrics gynecology and reproductive medicine, neurology, psychiatry , drug abuse and health psychology Dermatology and Venereology, infectious diseases, otolaryngology and dentistry , ophthalmology , family medicine and therapy FPE , child`s diseases , internal diseases, propaedeutic, domestic diseases; faculty of Pediatrics, Propadeutic pediatrics , pediatric surgery, Pediatric anesthesiology. Departments ZSMU in which pharmacists are trained interns into full-time period: Pharmacognosy, pharmaceutical chemistry and drug technolog, Clinical Pharmacy, Pharmacotherapy, technology medicine, botany and pharmacognosy , pharmaceutical chemistry, management and economics of pharmacy, medical and pharmaceutical commodity research, medicine disasters, military medicine and neurosurgery, medical, pharmaceutical science and new technologies FPE. Departments of ZSMU in which undergraduates studying medicine in the full-time period : Pathology and Forensic Medicine of the basics right, tuberculosis and pulmonology, general surgery and patient care, anesthesiology and critical care medicine , oncology , hospital surgery , urology, diagnostics and radiation therapy, trauma and orthopedics, obstetrics, gynecology and reproductive medicine, neurology, psychiatry, drug abuse and health psychology Dermatology and Venereology, infectious diseases, dentistry and otorhinolaryngology, ophthalmology, family medicine, FPE children`s diseases , internal diseases propaedeutics the care of patients, internal diseases; faculty of Pediatrics. Departments of ZSMU in which pharmacists and undergraduates studyed in full-time period: Pharmacognosy, pharmaceutical chemistry and drug technology, Clinical Pharmacy , Pharmacotherap, drug technology , pharmaceutical chemistry, management and economics of pharmacy, medical and pharmaceutical commodity research, clinical pharmacology, pharmacy and pharmacotherapy, Toxicology and inorganic chemistry, organic chemistry, Pharmacognosy with course of botany. In the post-graduate education involved 26 departments of medical, pharmaceutical faculties and Faculty of Continuing Education of ZSMU that trains specialists in the intership for 22 medical specialties , pediatric profile and specialty «General Pharmacy» and medical residents , graduateі ,trainees – Pharmacists, doctors. There are 38 teachers, including 6 professors , 11 associate professors, 6 doctors, 19 candidates , 19 assistants at the departments of postgraduate education . Powerful human resources, advanced information and logistical support of educational process , research and clinical activities provide a high level of training of interns , masters, medical residents and implementing innovative educational and therapeutic technology. Faculty was founded in 1973.
International students studying at the Faculty of Russian and Ukrainian languages , biology , mathematics, physics , chemistry , fundamentals of computer science , geography. Teachers: assistant professors, PhD. Studying process is in English. A lot of teachers were trained in Africa, Asia and Latin America. Teachers of the Faculty have published textbooks and manuals and other educational materials. The academic year consists of two semesters. At the end of each semester (January and June ), students pass tests and examinations in subjects that they studied. Students involved in groups of 8 people. Classes are held in classrooms equipped with modern computers. The students can use academic library , reading rooms , Internet in any time they need. At this time, the faculty are trained about 1,500 foreign students from 42 countries (Azerbaijan, Bangladesh, Belarus, Bulgaria, UK, Armenia, Vietnam, Ghana, Guinea, Georgia, Greece, Ecuador, Egypt, Zambia, India, Israel, Iraq, Cameroon, Kenya, China, Colombia, Ivory Coast, Lebanon, Libya, Madagascar, Morocco, Namibia, Nepal, Netherlands, Niger, Nigeria, Palestine, Peru, Russia, Syria, Tanzania, Tajikistan, Tunisia, Turkmenistan, Turkey, Uzbekistan, Sri Lanka). More than 900 foreign students studying in English. We welcome you to study in Zaporozhye State Medical University. The university was founded in 1921. In 1960, the institution was named after NI Pirogov, in 1984 it was awarded the Order of the university "Badge of Honor". Since 1994, Vinnitsa Medical Institute certified and accredited by the IV level of accreditation, granted him the status of the University. National status University received in 2002, the same year awarded by the Cabinet of Ministers of Ukraine and the Verkhovna Rada of Ukraine. The university is held 15-20 academic conferences, congresses and symposia each year. The university`s teachers have academic degrees and titles. Almost teachers are doctors of sciences, professors. Students are taught to 100 doctors and 424 candidates of science. There are 6 Honored Scientist of Ukraine , 4 Honoured Workers of Higher Education and Education of Ukraine , 2 academicians of the Academy of Sciences of Higher School of Ukraine , 12 Honoured Doctors of Ukraine , 6 winners of the State Prize of Ukraine , laureate of the State Prize of Belarus. Over the last 13 years the Vinnitsa National Medical University organized dental and pharmaceutical faculties, started training for five new professions. In the training process students use computer technology. There are 26 computer labs that used Іnternet netw. The university has 12 academic schools . The University supports communication and cooperation with the medical faculties of universities from 19 foreign countries ( including the U.S. , Germany, France , England, Russia etc. ) Clinical Departments collaborating with 28 foreign pharmaceutical companies. The teachers of the faculty involved in the implementation of 62 international projects. The university has established centers of new information technologies, research, diagnostic, medical and psychological clinic, training and production complex - dental clinic. They are equipped with modern facilities, which contributes to the learning process connection with the provision of medical care. Practical training includes: studying the basics of nursing (2nd year), studying the skills of nurse office (3rd year), work as an assistant of doctor-intern physician, surgeon, pediatrician, obstetrician (4 year), improving knowledge and gaining GP skills in clinical reception (5 year). Training system at the University complies with current industry standards of higher education. All members have the opportunity to use the library reading rooms, libraries and educational foundation. The university operates a mandatory system of quality control and training of students , which includes daily monitoring of students in each class ,watershed control of individual sections of the program , certification of students through 2-2.5 months after the beginning of each semester with the average ratings of each discipline , the final test or exam. The Department of the University has a various programs for the control of students. In learning process also implemented new technologies using modern computer technologies, the Center of New Information Technologies , which is familiar with the work of leaders in higher institutions of Ukraine and foreign universities in Europe, Asia , Africa and America. Practice for each course completed exam. Summary of state exams in the university determined by the requirements of industry standards for higher education. At the last years was created the new courses of study: extreme medicine, informatics, Clinical Immunology and Allergology , manual therapy , homeopathy. Vinnitsa National Medical University named after Pirogov accepted all foreign nationals who have completed secondary education. Foreign nationals who do not know Russian can learn the language and prepare for entry to university in the preparatory department. In accordance with the Resolution of the Cabinet of Ministers of Ukraine, Vinnitsa National Medical University issue invitations to enter Ukraine for foreign citizens wishing to study at the preparatory , medical , dental and pharmaceutical departments , as well as 53 specialty postgraduate education. Pharmaceutical Faculty - 3300 USD. Pharmaceutical Faculty - 3600 USD. Pharmaceutical Faculty (Computer-Based Training ) - 2600 USD. Residency Masters ( Russian language study) - 4100 USD. Visa support (issuing invitations and providing training on arrival ) - 100 USD. Use of the library is included in the tuition fees. During the training students will live in the hostel , equipped according to modern social standards ( 20 - USD 25 per month). In the tuition fee does not include a mandatory medical insurance and medical examination that students pay on arrival to the University (about 60 USD). Students also pay for travel from the airport "Borispol" to the University (about 200USD). Before starting study students must be interviewed in biology (medical and dental faculties ) or Chemistry ( Faculty of Pharmacy ), and an interview in Russian language . The living conditions The university has 5 hostels, 4 dining rooms, 7 Cafe. Each student is provided for an additional payment with room in the hostel for the period of studying at the university. Rooms are equipped with furniture, kitchen, showers and toilets. We welcome you to study in Vinnitsa National Medical University. One of the oldest universities in Eastern Europe.The university was found in 1804. Together with other leading universities in Europe, Karazin University signed the Great Charter of universities in 1988, who founded the Bologna process. Studying at V.N.KARAZIN Kharkiv National University is committed on 115 specialties and specializations, covers the entire spectrum of modern classical university education. The alumnus can get a qualification of Bachelor, Specialist and Master. The School of Medical Sciences was one of the first four schools that founded in the University. Surgical diseases (laparoscopic surgery and surgical gastroenterology). Department of Internal Medicine (philosophical problems of clinical medicine, clinical functional diagnosing, and forensic medicine). The best management of patients, neurocardiology, biomechanics of the blood-circulation system. Department of General Practice-Family Medicine (methodology of clinic-population investigations, groups of risk for detection of high-level risk contingent and modification of pathological changes of people with the high level of risk of health and correction of risk factors). Department of General Clinical Immunology and Allergology(general, clinical and inter-disciplinary aspects of immunology and allergology; epidemiology of chronic diseases). Department of General and Clinical Pathology (researches of molecular pathology of inflammatory and oncological diseases). Department of Pediatrics(health care for children and young people whose parents were affected by ionizing radiation during the Chernobyl accident). Department of Obstetrics and Gynecology (reproductive health problems and modern methods of contraception). Department of Hygiene and Social Medicine (development and studying automatic control system of heart rate variability, psychohygienic measures to maintain student’s health in vocational-technical schools). "Institute of Child and Adolescent Health Sciences of Ukraine"
Therapeutic preventive Institution "Central Clinical Hospital" UZ "
"Kharkov Research Institute of General and Emergency Surgery"
The Medical faculty includes 22 doctors of sciences, full professors, 68 candidates of sciences, associate professors and instructors. 1080 students are studying here, including 700 students from other countries. Recently we were joined by 19 students from India. Training is provided in V.N.KARAZIN Kharkov National University, Kharkiv research and medical institutions. Annually at the Faculty organizes international conferences. Teachers constantly create and use in the electronic versions of materials methods of teaching. Regularly performed a software update computer classes to improve control of knowledge. 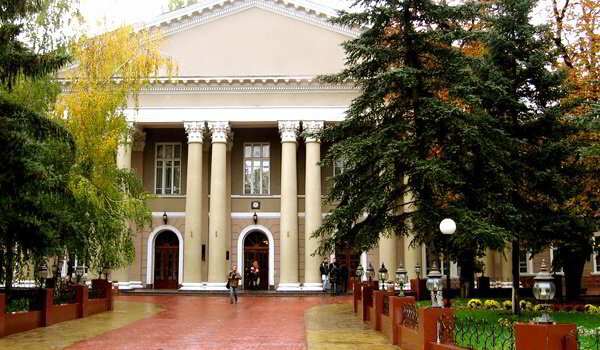 We welcome you to study in V.N.KARAZIN Kharkov National University. Number of students: over 3,200 students , including 1215 foreign nationals from 62 countries. Studying for international students is going in English language. Here was made an agreements for cooperation with the Universities in 24 countries around the world. Training is conducted in Ukrainian, Russian and English. TSMU is the only university in Ukraine where all faculties are taught in English. Experience of teaching in English - 15 years. The institutes and departments are located in 12 educational buildings and 17 clinics and hospitals in Ternopil.Ternopil State Medical University named after Gorbachevsky started work in September 1, 1957. At present the institution has 549 teachers, of who 3 are the members of NAMS of Ukraine, 86 are doctors and 336 are candidates of sciences. Our students are not only Ukrainian, but also representatives from 62 countries. The university is offered a post-graduate education, including master's, graduate, internship , residency, Advanced Medical. The creative activity of students, expansion of technical and scientific resources of the University is actively carrying out. For example, for the last 10 years university received 602 patents. Also the university made an active collaboration with hospitals and clinics in Ternopil. In addition, the University formed and rapidly developing scientific schools ( surgeons, internists , pediatricians , etc.). Ternopil State Medical University with a medical faculty was organized by the Council of Ministers of the USSR in April 12, 1957. In 1992, the Cabinet of Ministers of Ukraine renamed the university of the National Academy of Sciences of Ukraine named after Gorbachevsky. January 30, 1997 according to the Decree of the Cabinet of Ministers of Ukraine № 92 Institute received the status of medical college. 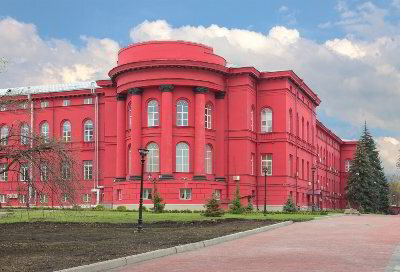 In 2004 academy reorganized in Ternopil State Medical University named after Gorbachevsky. Ternopil State Medical University named after Gorbachevsky headed by Leonid Kovalchuk , MD , professor, corresponding member of the Academy of Medical Sciences of Ukraine. Among the 549 researchers and teachers of Ternopil State Medical University, two-thirds are its graduates. There are 41 departments with 86 doctors, professors and 297 associate professors, including 3 members of a correspondent of NAMS of Ukraine, 9 Honored Science and Technology , 2 Honored Workers of Education , 1 winner of the State Prize of Ukraine in Science and Technology , 3 Honored inventors, 3 Honored Doctors of Ukraine. On the basis of the experience of American and European top medical schools the Ternopil State Medical University has introduced a new form of organization of the educational process on credit- module system using techniques of "single day", lines of practical skills , practically oriented Z- learning system , semester tests control of students' knowledge by an independent testing center , the network teaching system based on Internet technology, which is similar to a modern European system ( medical University of Vienna ) and is radically different from that adopted in other Ukrainian universities. The introduction of independent testing University Center excluded the possibility of corruption in the Ternopil State Medical University. Over the last 13 years was strengthened the material - technical base of Ternopil State Medical University. All the departments, library with reading rooms and 4 branches in all clinical departments and teaching and research institutions are computerizing , organized a computer center , 32 computer labs with access to the network " Internet " . Created publishing house " Ukrmedkniga " with its own set of printing , which provided textbooks and manuals for Ukrainian higher medical schools of Ukraine III-IV accreditation levels on 60%, and the I-II levels of accreditation on 80%. Post-graduate education , bringing together 41 faculty. On the basis of the theoretical departments in Ternopil State Medical University operate 5 teaching and research institutions. Institute of Morphology, Institute of Biomedical Problems , Institute of Pharmacology , Hygiene and Medical Biochemistry Institute named after Skakun, Institute of simulation and analysis of pathological processes , Institute of Nursing. 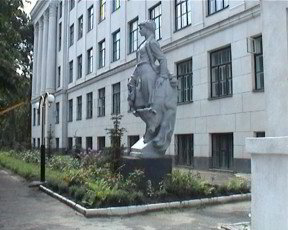 In September 2006, Ternopil State Medical University named after Gorbachevsky was awarded the diploma of the International Academy of Rating Technologies and Sociology "Golden Fortune ". Nomination Committee of the European Business Assembly (Oxford , UK) and the Scientific Council of the International University of Vienna (Austria ) honored Ternopil State Medical University named after Gorbachevsky with international award "European Quality ", which was presented in September 22, 2008 in Barcelona ( Spain) in the framework of an international meeting of leaders of science and culture «Euro Education - 2008". TSMU collaborates with a number of foreign institutions. According to the signed agreements we have exchange academic and research programs for the students and university staff with different universities in the next countries: USA, Austria, Polland, Czech Republic, Netherlands, Slovak Republic and Russia. Ternopil State Medical University`s Nursing School also offers an additional NCLEX course to prepare our graduates for their NCLEX exam. Ternopil State Medical University is a leading provider of high quality educational medical programs for international students. University ranks third in Ukraine among the medical universities and has been awarded the IV accreditation level by the Ministry of Education and Science of Ukraine. Ternopil State Medical University is listed in the FAIMER directory under ECFMG and the World Health Organization directory of Medical Schools. TSMU`s degree is recognized by World Health Organization, US Education Department, General Medical Council of England, EU Countries. The system of education is according to ECTS. About 50% of the teaching staff have university certificates for proficiency in English and more than 80 % of foreign students studying medicine, dentistry, pharmacy and nursing in English. The faculty for foreign students has 5 departments , Institute of Nursing and preparatory courses, four new departments (second department of surgery , second department of therapy , second department of obstetrics and gynecology, second department of pediatrics ) were created to improve the organizational and educational work among international students and began to teach only foreign students from September 1, 2009 . Departments are headed by doctors , and teachers of all departments in English who have certificates of English language proficiency level 1. The faculty has all the materials to prepare students for practice trainings , presentations, lectures, curriculum , guidance materials, prepared 250 questions for each class daily test control by Moodle system. There are a computer classes, accessed to the internet, equipped with models and necessary equipment. Foreign students can study not only on the Faculty for foreign students , but also in all other departments of the University , which belong to the medical , dental or pharmaceutical faculties. All of these departments have English-speaking teachers. All methodological support is in English (as a material for preparation for practice lessons, presentations, lectures, teaching materials for students, methodological materials for teachers). You can also find all necessary materials in electronic form . The Nursing Institute has the International Nursing school . Here trained nurses from the United States , Nigeria, Zambia, Ghana and other countries. Training programs are identical with those studying in nursing school , University of South Carolina. In 2009 started operate a distance learning - in " Nursing" with educational qualification of Bachelor . Already more than 200 foreign students from different countries enrolled in distance learning format. Every year more then 100 students studying in the preparatory department, most of whom are learning Ukrainian language. Teachers of Preparatory Department are highly qualified professionals, most of whom passed Ph.D defences . Teachers from Preparatory Department published a textbook " Ukrainian language for preparatory courses " and planned to release another in Russian language. Foreign students have the opportunity to have good entertainment. They are can engage in sports activities, organize football tournaments , cricket tournaments, play badminton, winners are awarded cups, organizes evenings of artistic performances. We welcome you to study in Ternopil State Medical University . The history of Sumy State University is begining from 1948, when in the city was founded Amounts training and counseling center of Moscow Institute of the metal industry. In 1993, Sumy Physics and Technology Institute was transformed into Sumy State University - University of the classical type of branched structure (basic school, institutes , colleges , technical schools ). In SSU trained more than 16 thousand students in different forms of learning. Educational levels "junior specialist", "bachelor", "specialist" 60 specialties 6 faculties 1,200 foreign students from nearly 60 countries. 85 doctors of Sciences, professors, 480 candidates of sciences, associated professors , operating doctorate, graduate school in 40 specialties , special councils act to protect theses on 9-specialties. Medical Institute accredited to the highest level in Ukraine IV. Trains specialists in the such specialties as "medicine", "Medical-preventive work" and "Dentistry". As we can see from a national ranking , conducted by the Ministry of Education and Science, Youth and Sports of Ukraine, Sumy State University is in the top three leaders among the " highly specialized universities," first place among classical universities in terms of scientific and economic research. The leaders of universities in Ukraine according to the global Internet rating WEBOMETRICS and scientometric database SCOPUS ( number of citations of the world scientific community, scientific works of scientists of the University ). Our university is the leader of Ukrainian competition of student research papers and competition for academic disciplines , areas of training specialties. Students of this university win a lot of competitions , Olympiads. 21 scientific and laboratory building with total area of 180,000 m2 (using Internet technology Wi-Fi), 151 equipped computer labs with access to the Internet, virtual machines and licensed software packages ( 2210 educational computers) , 48 multimedia lecture rooms , laboratories with a 3500 units of technical training . 11 hostels . 1 dining area in a separate building , moreover, in most buildings operate cafeterias and canteens . 1 separate campus of the library and information center with reading rooms (including electronic access to the database of electronic documents toll - Law League , Russia dissertation , Leonorm -Inform , EBSCOhost, CUL Online, HINARI, Grebennikon, Eastview , etc.) museum, printing and publishing . 4 separate sports complexes ( including a swimming pool , rowing base , ski-storage ) . Operate individual sports and gyms , stadiums and courts . Last year the university opened its own country sports camp . Faculty of Postgraduate Medical Education ( FPME ) consisting of the Medical Institute of Sumy State University established in 1 November 2006. Primary specialty of university medical schools III and IV levels of accreditation in intership. Getting educational qualification - Masters of medicine during the passage of a specific profession or after specialization. Assist to healthcare institutions in activities of continuing postgraduate education. The structure of FPME includes : Department of Family Medicine with courses of propaedeutics internal medicine and endocrinology and Department of Pediatrics postgraduate education with a course of childhood infections , Internal Medicine. We take measures in organizing of third department of postgraduate education. In the teaching process at the Faculty of Postgraduate Studies involving another 12 departments of Medical Institute. International relations of our institution evolved throughout the history of its existence and become more systematic since 1991, when was created the Faculty for foreign citizens on the basis of the preparatory department for foreign citizens. The first foreign students who come to study in our school , were citizens of Palestine , Syria and Jordan. Since April 2009, Faculty for foreign citizens was reorganized into the Department of International Education ( DMO ). Today SSU has about 1200 foreign students, including 260 students from neighboring countries , with full-time of education process. Now foreign nationals from more than 50 countries of the world come for studying in our university. Among them Europe (Spain, Norway, Poland , Turkey), South America (Ecuador), Asia (Afghanistan , Bahrain, Yemen , India , Iraq, Iran , Jordan , China , Kuwait , Lebanon, Mongolia , Pakistan , Palestine , Saudi Arabia , Syria , Sri Lanka) , Africa (Burkina Faso , Ghana, DR Congo , Egypt , Zambia, Cameroon , Kenya, Ivory Coast , Liberia , Libya, Mauritius , Morocco, Nigeria , Republic of Congo , Somalia , Sudan , Tanzania, Tunisia, Uganda) , CIS (Azerbaijan, Belarus , Georgia, Latvia , Kazakhstan , Kyrgyzstan, Moldova , Russian Federation, Turkmenistan, Uzbekistan). For learning Russian ( Ukrainian ) language foreign students can study at the preparatory department of the Department of International Education. The preparatory department of the Department of International Education is focused on language training of foreign citizens and preparation for general subjects in order to ensure of successful learning in the major departments of Sumy State University and other educational institutions of Ukraine. Teaching at the university is going in Ukrainian , Russian and English. Learning in English was introduced in 2004 for students of medical school in 2006 - for students of economics and management, and in 2010 - for students of electronics and information technology. Since 2006 SSU was entirely on the organization of the educational process for ECTS ESTC (European Credit Transfer System), which is one of the main stages of integration into the Europe, allowing graduates of higher education institutions to be competitive in the labor market of Europe and decide the issue of recognition of documents on education . Medical Institute of Sumy State University is in the list of higher education institutions in «International Medical Educational Dictionary», and our diplomas are accredited by the Educational Commission for Foreign Medical Graduates ( the United States) . Since 2009 Medical Institute of Sumy State University is included in the list of institutions of higher education database of the World Health Organization. Foreign students are actively involved in the Olympiads , engaged in scientific work, make presentations at scientific conferences in other Universities of Ukraine , publish articles in scientific journals. Also foreigners can continue their studies at the doctorate. Considerable attention is given to educational work , taking into consideration national circumstances , mentality , religious beliefs , culture , etiquette and consumer habits of international students and respect them. The university has student`s national associations ( Nigerian , Tanzanian , Cameroon , Arabic , etc. . ) Who are cooperating with the administration of the university and help students who come to study, to adapt quickly for living in Ukraine . For a comfortable living SSU has 5 dormitories for students . Sumy State University provides hostel to every student from their first year of studying . Today Medical Institute has 15 departments and 8 Humanitarian and comprehensive profiles , employing over 100 teachers, including 15 professors, more than 60 PhDs and professors , some of whom are professors and associate professors, winner of the Cabinet of Ministers of Ukraine , the National Academy of Sciences of Ukraine . Medical school has all the conditions for learning the latest knowledge of medical science, methods of diagnosis and treatment. The students study the Museum of Normal and Pathological Anatomy , large lecture halls. Here are study rooms, computer labs , a library , a cafeteria, gymnasium, stadium , swimming pool, ski base , 2 campuses . For those wishing to do research in a laboratories we have an electronical microscopy, atomic absorption mass spectrometry , immunological laboratory. The Institute is accredited at level IV and received a certificate of the Ministry of Health of Ukraine for training in the specialty " General Medicine ". For 6 years, the student receives a medical degree and a diploma of the state sample as «medical specialist». Later at the Faculty of Postgraduate Medical Education conducted training in the following areas: family medicine , internal medicine, pediatrics , surgery, obstetrics and gynecology , infectious diseases, radiology . In addition, graduates can continue their education in clinical studies , master's and postgraduate courses. Since 2005, the organization of the educational process is based on a new credit system . Its goal - to bring the training of doctors in the European context of the Bologna process and to be ensure about the mobility of students in the learning process . Over the last 8 years medical school SSU is in the top of three medical schools in Ukraine. Since 2000 it ranked only the first places of the number of prizes for student competitions, among the medical scientific institutions of the state. In 2002, the medical school was recognized as among the best medical schools in Ukraine. These results contribute to the strengthening and growth of the prestige of the institution, the formation of the victorious traditions. Today the Medical Institute of Sumy State University is well known in all parts of our country and abroad. In 2 faculties of SSU Medical Institute trained 700 national , 300 international students from 60 countries , 132 medical interns and 49 undergraduates. We welcome you to study in Sumi State University. Poltava State Medical University (http//:psmu.net)also known as Ukrainian Medical Dental Academy(UMSA) - the leading public institution of higher education for the training of doctors , including dentists. The Academy started its operations in 1921 with odontology faculty of Kharkiv Medical Academy. In 1967, the Institute moved to the Poltava city and renamed as the Poltava Medical Dental Institute . In 1994 Poltava Medical Dental Institute received the highest level of accreditation IV and status of Ukrainian Medical Dental Academy. In 2004, the IV accreditation level was confirmed. Nowadays in Poltava State Medical University there are 15 thousand students, including 729 - foreigners from 37 countries. 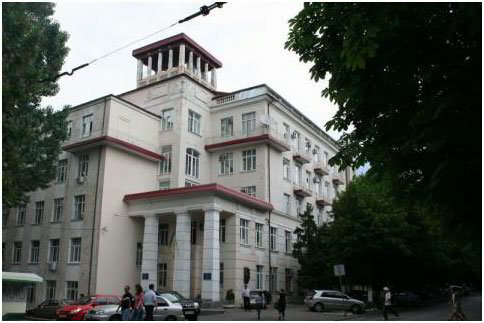 Faculties: dental , medical faculties, faculty training foreign citizens and the Faculty of Postgraduate Education , Department of Pre-University podgotovki.UMSA established college that prepares undergraduate and junior specialists. There are 56 departments in the structure of the Ukrainian Medical Stomatological Academy, nine of them - support. Medical- advisory work carried out on the 35 clinical departments of the Academy , located in the best of regional and urban medical centers of Poltava. Material and technical base: 4 dormitories for 2100 seats, a library, reading rooms, a sports complex, a health camp, amateur clubs. 106 patents of Ukraine and Russia. Ukraine participates in international programs in the field of higher education. In 1992 the faculty started to work with foreign students. Now at the academy studying 938 foreigners from 42 countries of the world ( Palestine, Iraq , Iran , Syria, Morocco , Algeria, Jordan, Pakistan , Libya, Russia , Turkmenistan, and others). All international students in Poltava State Medical University are guaranteed and provided with all the rights and freedoms contained the current legislation of Ukraine. Training of foreign nationals held in accordance with the curriculum and programs of the Ministry of Education and Science of Ukraine. Foreign students are taught on an equal footing with Ukrainian students - enjoy classrooms , a library and reading rooms , sports facilities , it also highlights areas for cultural and religious activities. Foreign students in Ukrainian Medical Stomatological Academy-UMSA are taught by teachers with special training and experience in working with foreign nationals in the early stages of their training. After graduation students get a diplomas of international standard. The Medical Faculty of the University of Odessa National Medical University was established in 1900. This university is the most prestigious of medical schools in Ukraine. In 1922 the Faculty of Medicine was reformed as an independent institution of higher education - medical institute which again turned into a leading university of the south. At the years of the independent Ukraine our university has developed into one of the leading medical universities IV level of accreditation. Today in our university study 6000 students, among them 1300-foreign students from 52 countries. Postgraduate education get 250 graduate students, interns, masters. For 108 years the Odessa National Medical University graduated 74,000 doctors, 590 doctors and about 4 thousand candidates. Among them, 9,000 physicians and more than 100 candidates are citizens of foreign countries. The material and technical base: 6 faculties , 58 departments , 12 academic buildings, 48 clinical sites, 2 private clinics, 3 own research institute, 13 specialized medical centers. The University has modern facilities for teaching, research and medical diagnostic work, which assists in the implementation of the educational process and the medical practice of the latest achievements of medical science, in particular endoscopic, tissue therapy , etc. Over the past few years created a unique scientific and medical units: Institute of Regenerative and reconstructive biomedicine, Institute of Clinical Biophysics , Institute of valeology and others successfully operated jointly by the health authorities diagnostic and treatment centers: cardiorheumatology , eye microsurgery , endoscopic and laser surgery , child cardiology , toxicology , etc. Finished the construction of a university dental clinic, the first in Ukraine Multidisciplinary University Hospital . The University has a modern material and technical basis for the educational, scientific , medical and diagnostic work. Over the past few years created a unique scientific and medical department of the University : a private dental clinic and multidisciplinary university , Institute of Molecular Genetic and Cellular Medicine , Clinical Research Institute of Biophysics . Successfully operate LDC cardiorheumatology , eye microsurgery , osteosynthesis , endoskopic and laser surgery , pediatric cardiology , toxicology , etc. Students have access to a large library and reading rooms , computer rooms , laboratories , auditoriums, dormitories 6 3 thousand beds . The term of study in the medical faculties - 6 years ( basic - 5 years, 6 years- with a narrow specialization for experts). In graduate training period - 2-3 years in the medical faculties , and 1.5 years for the pharmacist . Training of junior experts, bachelors and masters . Foreign students can study for all accredited specialties ( under contract ) . The most modern dental clinic of University was opened in 2002. All equipment supplied by German company "Kavo" and "Ivoclar". The department of maxillofacial surgery performed surgery in the areas of the face and neck, transactions on teeth, annihilation tumors from oral face areas by implantation. Dentures made in the department of orthopedic prosthesis. Clinic is a strong base for students, dentists, dental technicians, for postgraduate education. "Medical Center Children's Dental Health ONMedU "
In 2006 , the university was established Dental Clinic . Clinic was established to be the basis of the Department of Children's Dentistry , for providing top quality dental care for children. "Medical Center of Children's Dental Health" - a dental clinic , with 14 clinical rooms, functional diagnostics , dental laboratory , lecture hall, and necessary support facilities . Clinical facilities are equipped with modern dental equipments and designed for the reception of patients, and for student`s practical classes. From 1 January 2011 the " Medical Center Children's Dental Health" started receiving patients. In 2005 the University Hospital was established as a subsidiary of the Odessa State Medical University. Here is operating a clinical department, Department of General Practice and Medical Rehabilitation , separation of functional , beam diagnostics and intrascopic diagnosis, Physiotherapy department, Surgery Department, Department of invasive diagnostic methods and treatment, Neurological Department, Therapy Department, Department of reproductive medicine, pathologists branch, health review commission of sailors. The X-ray room is equipped with modern X-ray equipment , so we are conducting a survey of all organs and systems in their entirety. Cabinet of functional diagnostics equipped with modern facilities for the assessment of the cardiovascular system. In the Department of Laboratory Diagnostics conducted all general clinical, hematological and biochemical tests using modern equipment . After 2 courses students take practice as an assistant of nurses in the hospitals of the city , after the 3rd year - as assistant of medical assistant , after the 4th year - as physician assistants , after the 5th year - are receiving in -patient departments and are on duty at the emergency clinic . Final exams in all areas of specialties "Medicine" and "Pharmacy" held in the form of comprehensive vocational-oriented state exams. Students who receive specialty " General Medicine ", " Pediatrics ", " medical prophylaxis " after taking final exams get a "doctor" qualification, students who study at the specialty "Dentistry" after taking final exams get a " dentist " qualification. Students who receive specialty "Pharmacy " after taking final exams get a " pharmacist " qualification. Students who receive specialty "nursing" get a "Bachelor nurse" qualification. Students who receive specialty "orthopedic dentistry" get a "junior specialist - dental technician" qualification. Foreign students pay tuition fees in USD , depending on the language of instruction : Russian , Ukrainian - 2839/3200 $ per year , English - 3500/3850 $ at the medical faculties , $ 2,498 - in the pharmaceutical , $ 1,818 - to the dental prosthetic . 2. Attested photocopy of Certificate and Mark sheet of class 10+2 or equivalent. 4. Photocopy of Passport (if ready). 5. Medical Certificate with HIV test report. 1. Date of Birth Certificate by local municipal authority. 2. Attested photocopy of Certificate and Mark sheet of MBBS or equivalent exam. 7. Registration Certificate of Medical Council. Today the university has more than 3,000 foreign nationals who have the opportunity to enjoy high-quality and modern information services, new electronic students` library. Continuing the tradition of educational work with foreign students in ONMedU operates a complex approach to international education comprehensively developed personality, which aims to create a favorable atmosphere , good conditions for learning and a comprehensive and mutually enriching exploring their countries , their history and culture. We welcome you to study in Odessa National Medical University. Faculty of Economics and Management. The university has over 20,000 students and staff, including more than 17,500 students, masters, graduate students and interns in 14 specialties and 6 areas of training. National Pharmaceutical University of Ukraine has trained more than 40,000 pharmacists, beauticians , clinical pharmacists, engineers and 4000 Masters of Pharmacy for 80 countries. Nowadays, the Ukrainian National University of Pharmacy training over 17,500 students, including about 1,100 students from 20 foreign countries, that confirming its high international ranking. Students of the University have the unique opportunity to get a second education in medical and economics areas. After getting a diploma our students can continue their studies at the university through the system of postgraduate education in internship , master`s degree courses , graduate school and doctoral studies. "Journal of Organic and Pharmaceutical Chemistry"
"Management, Economics and Quality Assurance in Pharmacy"
High school teachers also publishes: lectures for pharmaceutical chemistry, clinical pharmacy textbooks allowance on medicinal plants, etc. The University has about 600 academic staff , including 99 doctors, professors , 435 candidates of sciences , whose average age is 44 years , one member of the National Academy of Sciences of Ukraine , 15 corresponding members of the public academies of sciences of Ukraine , 33 Honoured Scientist , honored health workers, honored inventor of Ukraine , honored Worker of Pharmacy , Distinguished Educator , 2 laureate of state awards . National University of Pharmacy is an honorary member of the European Association of Pharmaceutical Faculties (EAFP) and the International Association of Pharmacists (FIR). According to the rating of UNESCO's top 200 universities the State National Pharmaceutical University has one of the highest scientific quality and pedagogical potential of 90%. Among medical universities in Ukraine NUPh takes the third place. 6 academic buildings and dormitories 5 ( area - 80 sq m.) 10 faculties , 49 departments , modern laboratories, cultural center , Center for Distance Education , Science and Technology Library (over 500 thousand copies ) 20 computer classes , a botanical garden , a fitness center , the center of primary health care , cosmetology center , tennis courts. The university also includes the Institute for upgrade a qualification of pharmacy specialists , Central Research Laboratory ( CRL ) , National Research Laboratory for Quality Control of therapeutic agents, Problem Laboratory of morphological and functional studies , clinical- diagnostic center, research laboratory of immunological and virology studies , laboratory organic synthesis, laboratory of clinical diagnosis, educational and industrial laboratory of organic synthesis, electrical and electronics laboratory, Scientific and methodological Laboratory for pharmaceutical Education , College of NUPh . The university conducts basic and applied research aimed at the creation of new therapeutic agents and is preparing highly qualified specialists for the pharmaceutical industry , both in Ukraine and many foreign countries. The problems of scientific research conducted by scientists from the university covers all areas of pharmaceutical activity : synthesis, analysis , pharmacological study of biologically active substances of synthetic and natural origin , development and improvement of production technology of therapeutic agents , the organization of pharmaceutical business in Ukraine , clinical pharmacology and pharmaceutical care . The University is located in 5 buildings - administrative , chemical , technological , biomedical, clinical , humanitarian . library, where the literature is free. lecture halls , laboratories and classrooms equipped according to European standards. reading rooms in the hostel. INTERNET- club for work, leisure and correspondence with family and friends. International telephone service , dry cleaning and laundry . For all students we have a health services in hospitals and specialized medical centers located in one of the hostels of the university. Medical care is provided by highly qualified doctors . University Medical Center is equipped with modern equipment for diagnosis and prevention of various diseases. Serving in the health center is free. Students have the opportunity to live in university dormitories with two levels of comfort: a classic hostel and the hostel with increased comfort . The cost of living averages $ 30-40 per month. The dorms are equipped with reading rooms, library, internet clubs, international telephone, laundry. National University of Pharmacy - the largest institution of higher education in Europe to prepare qualified specialists in the pharmacy sector. Faculty had trained foreign specialists for the pharmaceutical industry from many foreign countries for the last 45 years ( since 1965 ). During this time, more than 5,000 people from 77 countries received a master's degree. This large army of graduates, our colleagues dispersed around the world. Most graduates of Pharmacy holds leading positions in its sector, has its own pharmacy , work with embassies, ministries of health and others. In the 80 years here studied , mostly students from the Middle East and Africa, in 90 years the geography of the international students in pharmacy has expanded . Language of studying: Ukrainian , Russian and English. Forms of study : full-time , part-time . - in English - 5 years. Training programs adapted to the international pharmacy professional requirements in connection with the entry into pharmacy system of the Bologna process. Chemical synthesis and analysis of biologically active substances , creating synthetic drugs . Development of composition and technology of biologically active substances and drugs of natural origin (except vegetable ). Pharmacological studies of biologically active substances and drugs of synthetic and natural origin, their use in medical practice. The organization of pharmaceutical business , management and marketing in pharmacy. Development of composition and technology of medical products for veterinary medicine. Creating of medical and cosmetic products. Pedagogy and psychology of higher medical and pharmaceutical schools . We welcome you to study in National Pharmaceutical University of Ukraine. University was founded in 1930. DNMU is the highest scientific and educational complex IV level of accreditation, one of the leading educational institutions of Ukraine. DNMU is a modern educational center in which there are the following educational levels : internship , Master , clinical residency, postgraduate , doctoral , advanced training of doctors, 8 faculties , 82 departments, 115 clinical sites , Research Institute of Traumatology and Orthopedics , Institute of Medical and Social Problems family, university Hospital . 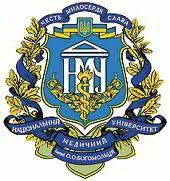 The university has 985 research and teaching experts, of which one is a member of National Academy of Sciences of Ukraine , 2 academicians of the Academy of Medical Sciences of Ukraine , 8 corresponding members of the Academy of Medical Sciences of Ukraine , 9 members of the Academy of Sciences of Higher School of Ukraine , 186 doctors and professors , 660 associate professors and candidates of science. Also, more than 5,000 students annually enrolled at the Donetsk National Medical University, about 7,000 doctors get a qualification. For all our history the University has trained more than 50,000 professionals. 2,057 foreign students from 85 countries have received the diploma of the DNMU . Educational methodical base is being created for training highly qualified specialists. Faculty has such departments as Biology, Genetics Department, chemopharmaceutic disciplines department, pharmacognosy. Every Department is full-equipped, has all necessary reagents and books. About 7000 specialists, graduated from our university are working all over the world now. We give special attention to publication of manuals, including electronical learning materials in English, Russian, Ukrainian languages, different variant of multimedia lectures, educational software. For the last five years was published 21 monographs, protected and approved by four doctoral and master these`s, received 116 patents from Ukraine and Russia. We trained dentists in accordance with the requirements of the Bologna Convention. General Dentists`s practice based on newly medical-diagnostic technologies. Although, computerization and informatization are very important priority of the Faculty. Currently, of the 118 faculty members 70 have a degree, including 15 doctors and 55 candidates of medical sciences. In the departments of the faculty teach 14 professors, 52 associate professors and 52 assistant. All departments of the faculty are provided with the necessary training facilities, rooms for teachers, treatment rooms, operating theaters, laboratories. Highly skilled professionals working in the department, owning modern methods of diagnosis and treatment of diseases, actively develop and implement in practical health advanced technology. International Faculty was established in 1964.
International students can study on Dentistry, Pharmacy, Medicine, Nursing and other Departments at Masters and Postgraduate level. Nowadays the Faculty is a research center of university in which the experts of various profiles are solving fundamental scientific problems. There are 97 teachers, among them 8 Doctors of Sciences, 4 Head of Departments, 4 Professors. Every year students attend and take part in scientific conferences at international, national and regional level. We provide all conditions for learning, leaving and recreation of foreign students. The Faculty offers the study in 55 medical specialties. Training here is based on a modul study. Computerized equipment gives the possibility to use know-how system and world networks in study. The term of the post graduate courses is 2 years. We have own University campus, which houses three academic buildings , equipped with 37 computer labs , scientific, educational and artistic departments of the library; 9 dorms with reading rooms and sports facilities ; sanatorium ; stadium, a sports and fitness complexes ; student`s club, kafe, medical center . Also on the banks of the Seversky Donets we have sport campus . In the period from 15 August to 15 November is set for foreign students at the Faculty of International guests by invitation. We welcome you to study in Donetsk National Medical University. At the Institute of Postgraduate Education and Retraining AIC conducted retraining of specialists with a diploma of the second state-level education . • Research Institute of bioecological monitoring. • Research institute of biotechnological bases for increase the productivity of animals. • Research Institute of Animal Physiology and ecoimmunology of animals and birds. • Institute of Management and Information Technology . • Research institute of introduction and intensive technologies in fish breeding. Human and Animal Physiology , Veterinary Obstetrics and biotechnology of reproduction, veterinary sanitation and hygiene, veterinary and sanitary examination ,veterinary pharmacology and toxicology, animal nutrition and feed technology , selection of animals and ecology. Trainings in graduation School in going on 25 specialties . In 2001 was opened a doctorate in 9 specialties . Main building, housing departments, research library , a sports complex and the campus of 4 dormitories with canteen are compactly plased in the central part of the city . 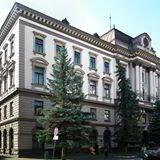 Studying research centers are located in the university towns of Lviv region . In addition, a structural unit that provides educational services, includes getting of second degree , training and retraining , the Institute of Postgraduate education and retraining APC. Also here we have a scientific library , educational centers " Davydov " and "Komarnivsky " practice deartment, information computer center with technical and educational services etc. A separate department of the University is a Veterinary College, from December 2007 – University`s College . The university realizes a program of integration of science and learning process. 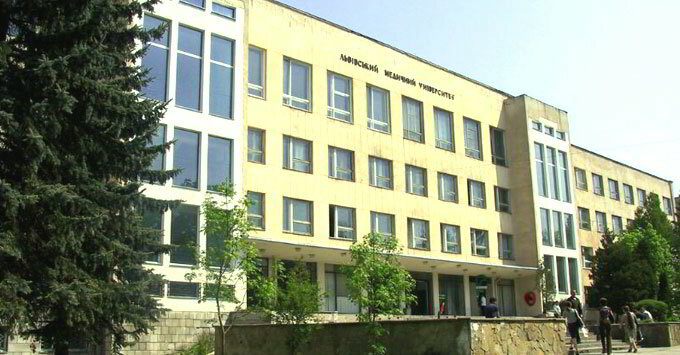 On the basis of the best scientific institutions and production units (firms , companies, associations) established 59 branches of departments, teaching and scientific complex " Zoo veterinary and Biotechnology ", consists of 31 participants ( I - II accreditation levels schools , colleges , high schools, vocational schools , enterprises and centers , etc.). In university operates a system of quality control and training of students (with certification testing , rating control). Dean's Office and the Departments of University are computerized. Here are 3 computer classes with access to the Internet. During studying process students using a computer programs. Also University published the "Scientific Journal". The University cooperates with institutions and specialized veterinary schools, research institutes , professional , social and civic associations of doctors of veterinary medicine (USA, Canada , Poland, Slovakia , Germany, Austria ,Czech Republic, Hungary, Romania, and other countries of Denmark) . Since I991 we began a fruitful science, pedagogical and methodological cooperation. The widest cooperation is carried out with agricultural universities and the Academy of Warsaw, Wroclaw , Krakow, Lublin, with Research Institute in Balice, Research Institute of Veterinary Medicine in Pulawy, with the Veterinarians Union of Poland, with farm " AMI-mix-tat " and many other institutions and firms of veterinary profile. Institute of Postgraduate Education was founded in April, 1974 . In 2007 it started training members of the qualification commissions, expert advisors , farm advisors . In the teaching process involved 30 university departments , specialists from veterinary institutions , farms, processing plants, research facilities , laboratories, agricultural experts from specialized departments. Students of the Institute have the opportunity to get acquainted with the latest achievements of domestic and international science , listen to lectures by leading university scientists and professors from other universities in Lviv , including Lviv National University named after Franko, National "Lviv Polytechnic National University", State Lviv Agrarian University, Commercial Lviv Academy, National Lviv University of Internal Affairs. Independent work of students consist in regularly work in laboratories, library, computer rooms. This requires practice and seminars and preparation for tests, exams. ICE uses such forms of studying : seminars , lectures , conferences , demonstrations , discussions , debates , group training. The training process is used: projectors , educational computer program models, training videos , filmstrips , slides , multimedia projectors , televisions, projectors , 4 computer labs , VCRs and more. In order to improve the learning process we respect the interests and wishes of students who expressed in discussions , conferences , surveys, roundtables , publications in the press. University named after Daniel Galician founded in 1784. It is one of the largest and oldest medical universities in Ukraine. January 20, 1661 King Jan Kazimierz transformed the Jesuit college in Lviv Academy by assigning to it the title of the University , consisting of four faculties : theology, law, philosophy and medicine. However, a full medical school until the closing of the University in 1773 has not been established . October 21, 1784 Emperor Joseph II of Austria signed a patent for the restoration of Lviv University , consisting of four faculties. November 16, 1784 was read the first inaugural lecture for students. From that day Lviv National Medical University was named after Daniel Galitsky. November 8, 1853 by Austrian Emperor Franz Joseph I was opened pharmaceutical department . In 1925, the pharmaceutical department was abolished and reinstated in 1930 at the Faculty of Medicine . 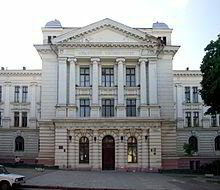 In 1939 , Lviv University was reorganized in Lviv State Medical University with two faculties - medical and pharmaceutical . Today LNMU - is a modern multi- educational institution with a powerful material and technical base, which includes 14 academic buildings, 41 clinical database , training and industrial pharmacy, student dental clinic. Clinical departments of the University are located on the base of regional, city , railway hospitals, the military hospital, Clinical Hospital of the State Border Service of Ukraine , Lviv, clinics and medical service centers in the city. Branches of the Faculty of Postgraduate Education at the University are also situated in citys Rivne, Lutsk and Truskavets. Departments are equipped with modern medical and diagnostic equipment . Foundation of the University Library has over 540,000 books of scientific literature from different medical and pharmacy specialtys. The library has a modern computer equipment . It connects to the Internet with other research libraries of the city and provides the latest medical information and literature for teachers and students. The University has a computer and Internet classes . The University also operates the Botanical Garden of Lviv Medical University. The University Graduate School operates with 32 specialties and doctorate from 6 specialties. There are about 1,100 scientists 114 doctors and more than 600 candidates , including 95 professors , 387 associate professors , 680 professor`s assistants who work in 79 departments in the Institute of Clinical Pathology, Central Research Laboratory and the Laboratory of Industrial Toxicology at the University . There are 28 academicians, 8 correspondents from different academies, 9 Honored Scientists of Science and Technology , 8 Distinguished Educators , 10 Honored Doctors of Ukraine , 8 winners of the State Prize of Ukraine in Science and Technology among them. 300 candidates of Science degree and a Ph.D. candidate, 50 master's degrees, 70 graduate students, about 600 members of the student scientific society. Training of foreign students at the University began in 1961. Since that time, more than 2,000 people from Europe, Asia, Africa and America have been graduated from our university and work bas doctors around the world . 330 foreign nationals trained at postgraduate faculty and 70 foreign graduates earned the title of professor . There are 907 international students in the medical, dental and pharmaceutical departments. There are 220 foreigners enrolled to the first course, including "medicine" - 135 students , " dentistry " - 59 students, " pharmacy" - 26 students , clinical residency - 9 students. Students from different countries : Austria , Angola , Bangladesh , Benin , Bulgaria , Ghana , Guinea , Greece, Denmark , Egypt , Israel , India , Iraq , Iran , Spain , Jordan , Cameroon , Canada , Kenya , Cyprus, Lebanon, Libya , Mauritius, Malaysia, Nigeria, Germany, Norway , Pakistan , Palestine , Peru, Poland , Russia , Saudi Arabia , Syria , Sudan , United States, Taiwan , Tanzania , Tunisia, Turkey , Sweden earn a degree in our university nowadays. Foreign students prefer LNMU because we can guarantee a high standard of education that foreigners can get into the University. Also wee have improved living conditions in hostels and restrooms . Recent years the number of foreign students was increase. The number of foreign students in university consistently ranked among the higher educational institutions of the city. The teaching of medicine, dentistry and pharmacy for foreigners going in three languages - Ukrainian , English or Russian. From 1997studying process is going in English. Today, about 200 foreign students studying in English. Students learn Ukrainian language at the preparatory department. Also, except of language training , students are offered preparatory courses to improve their knowledge of biology , chemistry and physics. After passing the final examination students preparatory courses receive state certificates and can be enrolled in the first year of their chosen faculty of Lviv National Medical University , as well as any other educational institution in Ukraine . International activities of the University aims to further cooperation with international medical and educational institutions to develop research, propaganda achievements of the University in the world. The University works closely with various organizations in Poland, Malaysia , Jordan, India, Iran, Bulgaria, Greece , Peru, Pakistan and others. The faculty of the postgraduate education was established in 1955. It has three departments: the internship (of the primary specialization), the department of the professional development and retraining of specialists and the sell-accounting department. • giving help to health`s institutions with protection in their efforts to provide a continuous postgraduate education. There are 33 professors and Doctors of Sciences and 163 Candidates of Sciences including 80 assistant professors at the faculty. Faculty departments gathered 17 scientific directions and specialties of medicine and pharmaceutics and 14 of them have their own scientific schools that have already prepared 52 Doctors and 229 Candidates of Sciences. The scientific developments work together with foreign partners. The students’ hostels are located near theuniversities buildings. Students can be accommodated in 8 hostels with everything needed for studying and full-equipped rooms. There are also internet clubs and reading rooms, canteens, cafes, the sewing and footwear work-shops, the barber’s and the laundry open and gyms. We welcome you to study in Lviv National Medical University. Lugansk State Medical University is certified by the IV level of accreditation. 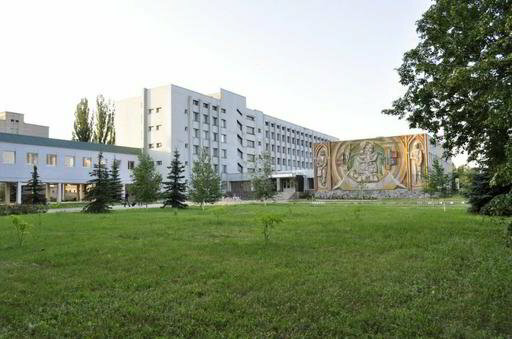 The educational process in the Lugansk State Medical University provide 543 teachers, of whom - 83 doctors of sciences and 329 candidates of sciences. Lugansk State Medical University engaged mainly in two major research challenges-scientific development and implementation of medical life-support systems affected by man-made emergencies and disasters and medical aspects of the ecology of an industrial region of Donbass. Work on the first problem was the basis for the theory and practice of Emergency Medicine of Ukraine. Training in the Lugansk State Medical University is given special attention . Each year, protected by 4-6 and 15-20 doctoral theses. There are two specialized councils for PhD theses at the university. University prints 7 scientific journals and collections included in the list of publications approved by the Higher Attestation Committee of Ukraine. Admission to the Lugansk State Medical University carried out for training professionals in the field of educational qualification of a specialist. The normative content and duration of all education and skill levels are defined in standards of higher education. Lugansk State Medical University is a the best example of modern European university, where students receive a quality education. University shows an example of the successful implementation of the Bologna system - more than 80% of students studying for this system. The course program is aimed at the adaptation of students with high school education to training in medical school. Term of training - one academic year. The main subjects - Russian ( Ukrainian ) language, biology , physics , chemistry . Particular attention is given to international students with insufficient knowledge of the language. Faculty of Postgraduate Study was opened in 1979. The faculty has 8 departments. Study at the faculty going through primary specialization - internship, secondary specialization and advanced training of doctors from Lugansk region. Department has 11 specialties, training doctors in 14 specialties . Each year, more than 500 young doctors get a specialty, more than 1200 doctors in region improve their skills. Here work high-skilled specialists, including 11 medical doctors, professors, 30 candidates of medical sciences, associate professors, 14 professor`s assistants. Faculty`s staff takes part in active clinical work , perform the most complex surgeries, treat patients with the most severe pathology, developing new treatments, diagnostics, rehabilitation and prevention of diseases. Educational and methodical work are actively lead at our faculty. Faculty constantly improving medical training, introducing modern technologies of teaching, quality control of student learning. The Department of our faculty has 5 computer classrooms. The departments are equipped with modern equipment, students can use online library`s classes. The faculty increases the amount of training family doctors, started its operating the Department of Family Medicine, also works the Lugansk Center of Family Medicine. Recently was opened the Department of Neurology . Faculty also provides primary specialty of dentists and pharmacists, opened new bases of internship in different specialties. There is a Coordinating Council on the faculty, which assists in organizing and carrying out its work. The main target of the Faculty is to implement a new concept of development of postgraduate education, close to international standards, the introduction of new control systems of knowledge and skills of doctors using medical education`s credits by the system during the assignment of medical categories. Scientific and medical activities at the Faculty of Postgraduate Education modernized, introducing modern methods of surgery , diagnosis , detection and disease prevention. 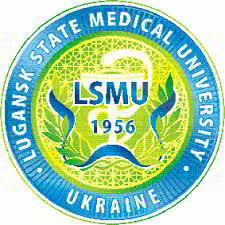 We welcome you to study in Lugansk State Medical University. 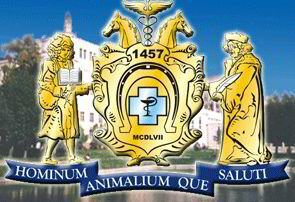 Kharkiv State Academy of Zooveterinary Medicine - the oldest university in the CIS of zooveterinary profile having a 150 years history. The first stage was the formation of the Academy in 1805 , and in 2001 was created directly KhSZA based Veterinary Institute . 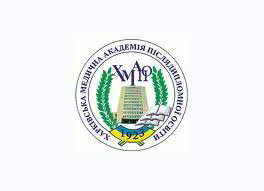 Kharkov veterinarian Academy is subordinates to the Ministry of Agrarian Policy of Ukraine and is a public institution of education with IV level of accreditation. Academy graduates are successfully operating in 78 countries , such as Japan, USA, Canada , Bulgaria , Congo , Nigeria , Israel, Poland , China, Jordan , Panama, Nikakragua , Mali, Morocco , Ethiopia , and others. Academy collaborates with European universities as the University of Berlin (Germany), University of Utrecht (Netherlands) and Branevelsk college of practical training (Netherlands) . The aim of cooperation is to improve the training and exchange of experience between schools . The Academy is located in the picturesque suburb of Kharkiv and includes 12 academic buildings, dining room , dispensary , teaching and research farm "Progress" , two stadiums , two gyms , a cultural center and 5 dormitories. The Academy has already graduateded about 32 thousand highly qualified specialists . Today KhSZA trained 2914 students. There are 219 teachers, among them 4 Corresponding Member UAAN , 31 professor, Ph.D., 110 associate professors, PhDs who work on four faculties and 30 departments. Department of Surgery , Department of Chemistry , Department of Parasitology , Department of pathological and normal physiology , Department of Pharmacology and Toxicology , Department of Foreign Languages , Department of Pathological Anatomy , Department of Microbiology , Virology and Immunology , Department of Clinical Diagnostics , Department of Animal Hygiene and Veterinary Public Health , Department of Internal Medicine animals , Department of Anatomy and Histology . - veterinary- sanitary examination of products . After graduation our graduates may find job in veterinary clinics , on poultry farms and zoofarms, in veterinary laboratory . Employment opportunities in manufacturing enterprises in the animal husbandry sector . And specialties : Biotechnology , Water Bioresources and Aquaculture , Forestry and Horticulture . Graduates have the opportunity to find a job in biological labaratories ; firms engaged in landscape design , scientific research institutes in the field of biotechnology . After graduation, students have the opportunity to continue their education in graduate school academy in 11 specialties. KhSZA-Kharkiv State Academy of Zooveterinary Medicine prepares specialists for foreign countries . For them has been created the dean's office for foreign students , which pay enough attention to each student , and prepares international students for entry not only in KhSZA but also in other universities of the country , trains foreign citizens on the basic faculties of the Academy for the bachelor level qualifications and master degree to obtain International Diploma and postgraduate training . In case of a successful defense of the thesis for the degree of candidate of sciences and verification of documents of previous education , foreign nationals will have a Diploma of Candidate of Sciences . Postgraduate Institute is important department of the Academy as a center of agricultural education. It provides highly qualified personnel for the agricultural sector. Improvement of methods of effective management of dairy industry and beef cattle is the main goal of scientific research institute of postgraduate education. Annual number of people improve their qualifications is over 900 . Functions of the institution is increase and improve skills of agro-industries , doctors of veterinary medicine of different categories zoo engineers , academics of I-IV accreditation levels , as well as training for occupations cheesemaker , fish farmer , beekeeper , techniques of artificial insemination of agricultural and animals, laboratory assistant . 12 educational buildings, a dining room, the medical center, three stadiums, two gyms, recreation center, a shooting gallery, equestrian sports complex, educational scientific center of plant growing and animal husbandry, a model broiler poultry farm (5 thousand birds), the information and library center (over 350 thousand copies). We welcome you to study in Kharkiv State Academy of Zooveterinary Medicine. The oldest Medical School in Ukraine. In 2005, the University celebrated its 200th anniversary, its history dates back to 1805, when it was founded Kharkov Imperial University. In the public rankings of higher education institutions of the Ministry of Health of Ukraine, Kharkiv National Medical University is among the top five institutions. The Degree of the KNMU(MBBS, BDS, MD, MDS, MS, NURSING) is recognized in many countries of the world. • 7,000 Students, interns, masters, medical residents, graduate students doctoral students, including more than 2,000 students from 72 countries. Skill levels: junior specialist, bachelor, specialist, master. • Faculty of Postgraduate Studies, which graduated doctors for the educational level of "specialist" with specialties "Medicine", "Pediatrics", "medical prophylaxis", "Dental", Department of Advanced Studies, which provides continuous skill development for all medical profession. 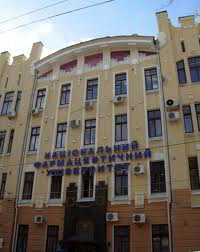 In Kharkiv National Medical University operate 65 departments whose composition includes 803 scientific and pedagogical workers, among them medical doctors, professors - 130, MD, PhD, associate professors - 446. • 28 employees - members of the International Medical Association . • " Obstetrics and Gynecology "
• " Medical Genetics "
• " Medical Radiology "
• General Medicine ( the period of study is 6 years). • Stomatology, ( the period of study is 5 years). Languages of instruction: Russian, Ukrainian, English. There are 8-10 persons in each academic group. The graduates are awarded a Diploma of Specialist and qualified as Physicians with the title of “Doctor of Medicine” in General Medicine or Stomatologists with the title of “Doctor of Medicine” in Stomatology. KNMU has a hostel system with fully furnished rooms and surrounded with recreation center. The International Office provides a guarantee of accommodation placement services to all international students who receive an academic offer. All rooms in hostels have the internet. Each room can accommodate 2 or 3 students. All rooms are equipped with bed, mattress, chairs, heating, pillow, blanket, desk, water system and lighting. We welcome you to study in Kharkiv National Medical University. Education is a higher education institution of the 4th level accreditation. The Academy realizes post-graduate education of specialists in the all specialities of «Medicine» and «Pharmacy», also realizes post-graduate education of doctors-specialists in internship, magistracy, graduate school, clinical residency and also doctors pass their training course in accordance with basis directions. Of general practice – family medicine. Academy utilizes for training of foreign students 100 lecture-halls, 250 lecture-rooms, library with access to the Internet 44 clinical laboratories, 42 diagnostic laboratories. Academy also has Medical college which conducts training of foreign citizens on the base of the secondary education – junior specialists (nurse), on the base of the secondary special education (junior specialist) – bachelors (nurse). KhMAPE has 2 hostels wits 4 buildings where pupils and specialists can live. All foreign citizens, passing training at the Academy, are completely provided with habitation. Kharkov Medical Academy of Postgraduate education was founded by order of National Commissariat of Healthcare of Ukraine in 1923. Training of 24 rural district doctors continued for 3 months , then for 4 months, and later the institute moved on principle of differentiated training of doctors for up to 6 months. In that time, the Institute carried out constant work on the preparation of scientific and teaching personnel . The first form of training was a two-year internship training in 1928. The first graduation consisted of 84 medical interns . Internship existed until 1938 , and played a positive role in training . The second form of training scientific and teaching personnel were graduate school and residency. Organizational and methodological guidance was assigned to the Ukrainian Central Institute of Postgraduate education . In1973 at the Institute has functioned 40 departments and 2 courses . In the second half of the 70 years significantly improved the material and technical base of the Institute. Starting from 1977 the institute was created 24 departments with the most priority disciplines ( Department of Traumatology and Spine , neonatology , Addiction, and others). Since 1991, the institute subordinated to the Ministry of Health of Ukraine and renamed to the Kharkiv Institute of Advanced Training of Doctors , and in 1999 - in Kharkiv Medical Academy of Postgraduate Education . The Academy takes part in the implementation of family medicine in Healthcare of Ukraine. Since 2001 operated educational, scientific and methodical laboratory of family medicine. In April 2000, the Academy received a license for the provision of educational services related to the education level of qualification requirements for training physicians in the specialty "Management of organizations in health care ." In 2002, the Academy received licenses for the providing of educational services related to getting higher education at the level of qualification junior specialist , bachelor's degree, and their retraining . In 2002 by order of the Ministry of Health of Ukraine in the structure of the Academy ws opened a medical college . Over the last years has developed and already embedded in the job performance evaluation criteria of the teacher , which include four areas: educational and pedagogical work , scientific research , clinical work , as well as financial and economic . Academy has all the technical and educational opportunities for the development of distance learning, introduces it in the faculty " Management in Health Care ." The course includes didactic , methodical and background information about a subject, as well as software that allows you to use it for a comprehensive self-management knowledge. Distance learning allows you to change the contents, methods and forms of education . KhMAPE prepared and approved 10 internship programs , 22 graduate programs , 55 programs for preparatoring courses and computer tests for pre-certification courses . Every year at the academy increased their qualification 16-18 thousand doctors. Also Academy prepares scientific-pedagogical personnel and high-level masters , residents , and doctorals for Ukraine and foreign countries. Every year at the academy study specialists from over 30 countries . 6 honorary workers of Health. The academy has two specialized academic councils for doctoral and master's theses . Faculties have a unique network of modern clinical databases : Research Institutes of Medical Sciences of Ukraine (10) , hospitals, regional subordination (30), municipal subordination (48 ) hostels (6) , administration (4). Among the clinical sites - hospitals, maternity , perinatal centers, dispensaries, clinics , outpatient general practice - family medicine. The total number of beds in them - 9,3 thousands. The most clinical sites combined in complex " Saltovsky ", " Moscow ", " Balakirevsky " on the bases of which are 34 specialized clinical departments. Also in the Saltovsky pathological anatomy medical complex of the Academy, also operated 3 departments: forensics , pathological anatomy, topographic anatomy and pathophysiology. In recent years were expanded chain of clinical facilities , including Regional Hospital - Center for emergency medical care is the main base of the Department of Medicine of Emergency Conditions , Emergency Medicine Centre, established in emergency medical care centre . All clinical bases are equipped with modern medical and diagnostic equipment . Departments developed and introduced modern methods of prevention, diagnosis and treatment: MRI , ultrasound , endoscopy , angiography , functional diagnosis of the cardiovascular , respiratory and neurological disorders , devices for laparoscopy , laser surgery , thrombolysis , and others. These conditions provide a unique opportunity to perform at the world level of educational , scientific and medical diagnostic processes and impact on improving the quality and accessibility of medical care. Staff Academy consists of leading Specialist MoH of Ukraine (2), the Department of Health of the Kharkiv Regional State Administration (16), the Department of Health of the City Council (12). We also cooperate with the mass-media: perfomances on television , radio, print placement of articles in newspapers and magazines on Public Health, formation of healthy lifestyle. Also performed " weeklies " " family planning " by speaking to the media , scientific conferences , training young scientists of the Academy. The teaching staff takes an active part in the preparation and implementation of the reform of Public Health of the areas of primary health care, emergency medical care , providing quality care for children and mothers. Leading experts of academy participate in the implementation of national and regional programs on reproductive health of the nation, the prevention of tuberculosis, HIV and AIDS, immunization and protection from infectious diseases, cancer , prevent cardiovascular diseases , the development of primary health care program " timely assistance " and others. Teaching staff annually provides about 300 thousand consultations to patients. 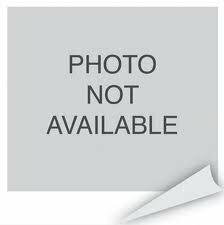 In 2011-2012 Central certifying commission of Ukraine was held certification of teaching staff for relevant specialties. Teaching staff has 544 employee category ( higher category- 424 (78.1 %) first category- 94 (17.3 %) , the second category- 26 (4.6 %)). All other specialists ( 107) are certified medical specialist . In 2012, the academy established a " Dental Center". Thus, nowadays the Academy prepare professionals in the theoretical and practical aspects. We welcome you to study in Kharkiv Medical Academy of Postgraduate Education. The total number of faculty members - 750 . Of these 290 candidates, 85 professors and doctors. 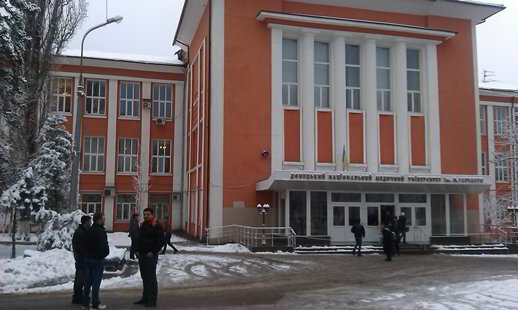 Ivano - Frankivsk National Medical University was founded in October 6, 1945 . By the time the institute , there were 395 students and 47 teachers , of which there were only a few doctors and candidates of sciences, operated 14 theoretical and 2 clinical departments . In 10 years the university has 12 professors, doctors, and the number of students exceeded 1,000 people. In 1962, with the renaming of the city was renamed as Institute of Ivano - Frankivsk State Medical Institute . 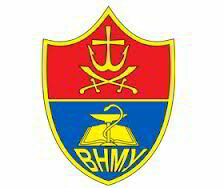 Since 1992 - Medical Academy . In November 27, 2008 - National University . Started from 1945 , here were trained more than 16,000 doctors, 5,000 of them work in the Ivano - Frankivsk region. There are 51 departments for learning students and improving the professional skills of doctors. Courses conducted 73 doctors and 231 candidates of sciences. Among university scientists there are 6 Academicians , 6 Honoured Scientist of Ukraine , 2 Honoured workers of higher education in Ukraine , two Laureates of State Prize of Ukraine . University scientists involved in the development of the four academic state programs, of 56 character application works in international multicenter studies. About 200 effective scientific developments , innovations and medical diagnostic technologies transferred to practical public health in recent years. Received 14 positive solutions for inventions, 5 patents, including 4 patents of Ukraine and 1 Euro patent (for test system of bioindicators of radioactive contamination of the environment). The university founded and operated regional centers : cardiac pacing , work-related diseases, antihypertensive and diabetic clubs. Quality medical care to patients of the city and region is provided by 40 specialists of the University. About 40 % of operations performed in hospitals of the university staff . In high school works successfully specialized scientific council D 20.601.01 in three specialties: cardiology, gastroenterology and dentistry. Only in 2010 defended 20 theses, including 3 doctorates . More than 70 people work on the PhD and 35 - the execution of doctoral theses , now in the planning stages 27 doctoral and master's theses. University scientists are members , and scientific laboratoryes are bases of many national and international congresses and symposia. University is the base of students national competition in anatomy. There are computer training classes , Internet , which connected library , research and teaching departments of the university. The University maintains the professional contacts with the World Federation of Ukrainian Medical Associations , management Ukrainian Medical Association of North America, Lublin Medical Academy , universities in Germany, Austria, Poland, all the higher medical educational establishments of Ukraine . 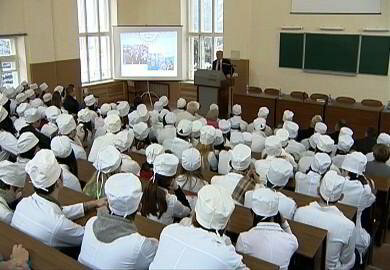 Training of foreign citizens in the Ivano -Frankivsk National Medical University held since 1992. By the time at the University studied immigrants from Russia , Romania , Pakistan, Cameroon. For ten years, the total number of foreign students each year do not exceed 20 person. Thanks to the efforts of the university since 2002 the number of foreign students progressively increased , and in 2010/2011 academic year, the Faculty was trained 857 foreign nationals from 44 countries (Jordan , Bulgaria, Malaysia, Iraq, Syria , Palestine, Russia , Canada, Poland , Lebanon , Namibia, India, Egypt , Denmark , Iran , Yemen, Cameroon , Libya, Morocco , Nigeria, Sudan , USA, Tanzania , Turkey, Turkmenistan , Uganda , Australia, Algeria, Angola, Belarus , Brazil, Ghana , Guinea , Gabon , Grenada, Kenya, Congo , Latvia, Mauritius, and Germany). Today, Ivano - Frankivsk State Medical University is among the six top medical schools of Ukraine , diplomas are recognized in Jordan , the Palestinian Authority and other countries in the Middle East. The next step - the recognition of the university in the Kingdom of Malaysia . The preparatory department was opened in 2003 with a licensed capacity of receiving 300 people, where training is conducted in two departments: biomedical and engineering . Foreign students in the Ivano -Frankivsk National Medical University study in three stages: pre-university training ( learning the language and basic sciences ) - undergraduate education on basic specialties ( general medicine, pediatrics , dentistry , pharmacy , nursing, dentistry orthopedic ) - post-graduate education (master's degree , clinical internship , graduate school ) . The education process is going in English for foreign students since 2004. An important element of the educational process is a cultural leisure. The Rector of the University created all conditions for sports (annual football championship ) and amateur performances. We have modern classrooms and laboratories, a library, computer labs with Internet access , fitness and sports facilities, swimming pool , leisure center , recreation center in the Carpathian Mountains and the Black Sea coast . Foreign students are guaranteed all the rights and freedoms in accordance with the current legislation of Ukraine and the Charter of the University. Regional Clinical Hospital of Infectious Diseases. Regional psychiatric clinic number 3. Urban Skin and Venereal Diseases. City clinical hospital № 1. City clinical hospital № 2. City clinical hospital № 3. Faculty of Postgraduate Study was founded in 1992. Faculty of Postgraduate Studies has 6 departments: obstetrics and gynecology, pediatrics, dentistry , internal medicine and family medicine , surgery, pharmacy. Overall, post-graduate training of physicians conducted by 22 departments of medical, dental and pharmaceutical departments . anesthesiology and critical care , internal medicine number 3 with rates of occupational diseases , hospital surgery , hygiene and ecology with the course of protection of labor , endocrinology , infectious diseases with course of epidemiology, Addiction Psychiatry and Medical Psychology, course of otorhinolaryngology with course of head and neck, of Neurosurgery and ophthalmology, Pathology , Radiology and radiation Medicine , social Medicine, health Organization and history of medicine , law and EMU , forensic medicine , medical law, traumatology and orthopedics, urology, phthisiology and topographic anatomy, dermatology and venereal diseases. Primary postgraduate training in internship is going in the following areas : obstetrics and gynecology, anesthesiology and intensive care, dermatology and venereology , general practice , family medicine , infectious disease, medicine of emergency conditions , neurology , orthopedics and traumatology, otolaryngology , ophthalmology, pathological anatomy, pathology , radiology, forensic examination, internal medicine , urology , pulmonology and phthisiology , surgery, pediatrics , dentistry , general pharmacy. Training doctors and pharmacists at the Faculty of Postgraduate Studies conducted in the following areas : therapy , cardiology , gastroenterology , obstetrics and gynecology, anesthesiology, dermatology and venereology , general practice , family medicine , infectious disease, medicine of emergency conditions , neurology , orthopedics and traumatology, otolaryngology , radiology , ultrasound diagnosis, organization and management of health , urology , pulmonology , endocrinology, phthisiology , surgery , pediatrics , dentistry , dental technology, prosthetic dentistry , dental surgery , orthodontics , general pharmacy. There is also the retraining of specialists in 14 specialties : " General practice , family medicine ," " Medical emergency conditions ", " Cardiology ", " Gastroenterology ", " Orthodontics ", " radiology ", " Ultrasound Diagnosis", " Organization and Management of Health "," Dermatology and Venereology "," Dental "," Preventive dentistry "," Prosthetic dentistry "," Pediatric Dentistry" "Surgery ". Our faculty have already given and increased a qualification for 24,632 people. Intership in our university have already finished 6393 interns, and our training courses have trained 18,239 professionals. Faculty of postgraduate education offers to join the internship graduates who were educated in higher educational institutions and improve the skills of doctors. The main purpose of the educational process is to encourage the pursuit of self-study , acquisition of professional knowledge , skills , ability to acquire new medical technologies to improve their own skills. We welcome you to study in Ivano -Frankivsk National Medical University. Today Dnipropetrovsk State Medical Academy- one of the leading higher medical educational institutions of Ukraine with a single continuous training of specialists at three levels: pre-university , university and post-graduate . 4.5 million students and 1,333 students from 42 other countries. More than a 100 doctors and 350 candidates. In total, the Academy has over 1,300 employees . Among the teachers : 1 academic from the Medical Sciences Academy , academicians and corresponding members of the National Academy of Sciences , 6 academicians of Medical Sciences of Ukraine, 13 academicians and corresponding members of other academies, 10 Honored Scientists of Ukraine, 9 Honored Doctors of Ukraine, 5 Honored Educators of Ukraine , 2 honored workers of Health, 12 winners of the state Prize of Ukraine, 2 laureates of the Cabinet of Ministers of Ukraine, 2 winners of the annual prize of the President of Ukraine for young scientists, 2 winners of the Cabinet of Ministers of Ukraine for the outstanding achievements of young people in the development of Ukraine. Scientific activities of the Academy are provided with modern methodological and technical base. Currently, performed 61 research work . -Development a new diagnostic technologies of progression of hypertension. -Perinatal HIV infection : assessment of the efficiency and optimization of modern pharmacological means of prevention , treatment, rehabilitation and curb the spread of HIV / AIDS. -Development of a new methods of treatment and prevention of cancer, of the bladder and prostate cancer, methods of diagnosis and treatment of cerebral vascular disease. -Development of domestic technologies treatment of orthopedic diseases and injuries of the musculoskeletal system. Scholars Academy is actively involved in the work of international congresses and symposia. The effectiveness of graduate school - 100%. Received 265 patents. Published 6507 articles, 516 of them are abroad. The Academy produces academic scientific journals - "Medical Perspectives" , " Urology . Academy occupies an area of 85 hectares, has 8 academic buildings with total area of 52000 square meter, in which it is placed 608 classrooms, offices and laboratories, 7 hostels in which live 2849 students. Academy has at its disposal a sports complex, a sanatorium , sports camp , scientific library and two museums . 42 clinical departments are located at the bases of 28 hospitals and used more than 15 thousand beds. There are 29 specialized centers on clinical bases of Academy . sports complex, which includes gaming , fencing , fitness room , table tennis room , wrestling, swimming pool, a sports stadium with tennis courts , country sports camp for 250 seats. complex canteens , cafes, coffee shops. fundamental anatomy museum , etc. After graduation, our graduates can choose any specialty of medical profile . Postgraduate training in DSMA held at the Faculty of Postgraduate Education in 26 specialties , in internship on 39 specialties , in graduate school on 21 specialties , in residency on 24 specialties and in master`s degree course on 12 specialties . Every year at the Faculty of postgraduate education tough about 4500 students. Postgraduate studies carried out by leading scientists , doctors of the highest medical qualification , including 19 professors and 58 associate professors. Upgrade qualification or retraining of doctors. Training of medical residents . Student Scientific Society of DSMA has 60 clubs and 1,300 members . The Dnipropetrovsk State Medical Academy is constantly introducing new forms of studying , created a computer system control of research activities of students. Students in all departments are engage in scientific circles, can take part in high school, national and international conferences, in performance of research works, in rationalization and inventive activity. Annually university`s members send the scientific works to national and international competitions and are highly appreciated. Students are members of councils of faculties and academies. Latest news from the life of the academy , information on the achievement of scientists , psychologists tips and other useful tips you can find in the academy newspaper "Puls" , which is an important link that binds and unites the team . Scientific activities of the Academy are provided with modern technical and methodological bases. Library with department of Foreign Literature, electronic catalogue, computer software, information on specialized medical periodicals. morphological , immunological and biochemical laboratories . Since 1990, the DSEA conducts training of foreign nationals. In 1995 was the first graduation of foreign doctors . Today at the academy study more than 400 people from 29 countries in Asia and Africa. The Academy also conducts training students in the improvement of the scientific process ( India, Japan , Denmark, France , USA, Netherlands, China, Spain ) . Our offers you to train on premedical, undergraduate and postgraduate levels. Premedical level includes preparatory Russian (Ukrainian) language course where over 1300 foreignerss from more then 45 countries of the world study. General medicine, pediatrics, medical-preventive care, dentistry, clinical pharmacy, pharmacy, hospital nurse. Postgraduate education includes internship, master degree course, PhD course, clinical residency and specialization. Academy has a close partnership with higher education institutions of different countries, like as Russia, China, France, the USA, Canada, Germany, Sweden, the Netherlands, Great Britain, etc. Also Dniepropetrovsk Medical Academy is the member of the European Association of the International Medical Education. We actively cooperates with WHO and other institutions. The academy provides all conditions for students. We have a one-year preparatory course provides Russian (Ukrainian) language courses, biology, chemistry and physics. Foreign students' training is carried out by: 17 lecturers, among them 1 professor and 3 PhD. Here are modern material and technical bases, high level of teaching staff. All students of preparatory department are provided with scientific and methodical literature. Efficiency of educational process depends on the educational facilities, especially modern technologies. Preparatory study is going in computer and language classes. Teaching staff of preparatory department helps foreigners also in questions of everyday life. After a completion of the preparatory course students are admitted to the first and second International Faculty . We welcome you to study in Dnipropetrovsk State Medical Academy. Level of qualification: Bachelor, Specialist, Master. 4700 students, including 1700 foreigners from 45 countries. The University is a leader among universities in the country in which foreign students are studying. 40 university professors are academicians and corresponding members of domestic and foreign Academies of Sciences. 60 teachers have honorary titles. • First Faculty of Medicine – General Medicine. Today faculty has 11 departments, in which works 18 Doctors of medical sciences, 86 candidates of medical sciences, 80% of teachers have a doctorate degree or a candidate of medical sciences. At the first and second studying years, students study the humanities and basic sciences that are the backbone of medical knowledge to be acquired at the undergraduate. University gives special attention to ensuring that students receive clinical knowledge, so they provide diagnosis and treatment of patients who receive practical medical skills. From 3 course, during all the years of training in practical sessions and during production practice, students work with patients, develop and use modern methods of diagnostics, treatment and the latest equipment. Students are provided with all the necessary conditions for successful teaching and researches. Clinical departments of the faculty are equipped with the latest equipment. • Second Faculty of Medicine - Pediatrics. Faculty has 12 departments. 1-5 years students of medical faculties are trained on unified study plans and programs, and regardless of the profiling pass after graduation unified state exams. On the sixth year of training is conducted primary profiling by teaching relevant profile subjects. Particular attention is given to the professionally focused clinical aspect in understanding the fundamental disciplines. Student groups have no more than 12 people, and on the course of 6 - to 10, which makes it possible to individualize the learning process. Clinical studies conducted in hospitals and in the offices of the laboratory and functional diagnostics. Our faculty we use modern dental technology, study the problems of implantology, prosthetics and metal-clasp designs, research a new methods of treatment of dental diseases. Practical training takes place in an urban dental clinic, Clinical Hospital. NASemashko, Children's Hospital, 7th City Hospital, the Department of Prosthodontics. Dental Department is actively involved in the research program "Development of prophylactic and therapeutic techniques for component-based Essential oil crops and their introduction into medical practice." At the faculty teach 15 doctors and 52 candidates of medical sciences. At the Faculty of study 908 students. Our university provides all possible facilities for the preparation of specialists for foreign countries, not only doctors, but also teachers and researchers to medical schools in other countries. At the faculty teach 15 doctors and 52 candidates of medical sciences. There are 908 students study at our faculty. • scientific and educational-industrial complex. The Crimea State Medical University has 16 educational buildings; clinical base university departments are located in 47 health facilities, a private clinic in the institution, the Internet, 25 computer labs, and more than 930 computers, 5 electronic reading rooms and more than 580 thousand textbooks in library, 5 dormitories, a modern educational and sports facilities, a sanatorium, a cultural center, health center. International Medical Faculty has a certificate IES as the best university, known and recognized throughout the world . Studying goes under Bologna system. • Dentistry and clinical pharmacy - 5 years. We welcome you to study in Crimea State Medical University. Bukovinian State Medical University - one of the largest universities in Chernivtsi, which recently celebrated its 65th anniversary. It is a modern multidisciplinary education institution, IV level of accreditation and included in the general register of the World Health Organization, that provides professional training for phased system of education. Discipline "Pharmacy" : Pharmacy (junior specialist , bachelor, specialist ), Clinical Pharmacy ( expert, master ). Training of foreign students is carried out in English and Ukrainian languages. University training foreign nationals in residency training (30 people), graduate school (20 people) and entering higher education (120 people). Today, at university studying 4374 students , 675 of them - citizens , foreigners from 32 countries. Training of foreign citizens is carried out since 1994 , and since 2004 teaching of foreign students is in English. Number of foreign students from India , Somalia, Nigeria, Ghana , Pakistan , Ethiopia, Sudan , Saudi Arabia , Bulgaria, the U.S. and other countries who studying in Bukovinian State Medical University is increasing from year to year. Now here studying 533 students from Asian countries, 237 students from the Middle East and Africa, 188 students from Latin America. The faculty had already trained 1012 general practitioners, 64 residents and 15 candidates of medical sciences from more than 60 countries all over the world. The staff of the University is unique. Today we have professionals who possess exceptional teaching skills: 75 doctors and 321 candidates of medical sciences , including one correspondent of Pedagogical Sciences of Ukraine ,2 Academicians of VSHU, 6 academicians of UANNP , 9 distinguished doctors of Ukraine , 2 honored scientists, 2 honored Workers of higher Education of Ukraine, 66 professors, 187 associate professors. 166 teachers have the highest attestation of medical category (among them, 54 have the first category and 48 teachers have the second category). 29 teachers from clinical departments of BSMU are regional freelance professionals and consultants of Chernivtsi Regional State Administration . Postgraduate including internship and master`s degree course (25 specialties), graduate school ( 27 specialties ), doctoral ( 6 specialties ) . The University has 47 departments and 7 faculties. Three medical colleges in Chernivtsi , Novoselyts and Vashkivets conformed to university. University has a preparatory department for foreign students. The university has 12 academic buildings, bases of the clinical departments in 25 cities and regional health-care institutions. Classrooms and laboratories equipped with modern technical facilities and computer technologies, a modern library which has a book collection of about 1 million copies, 5 reading halls, a university dental clinic , teaching and industrial pharmacy, sports complex, the Palace of Culture and Rest "Academic " recreation " Health", a modern well-developed campus including five academic buildings, clinics, a library, 5 hostels, a gym, canteens. Clinical Department placed on the basis of 27 medical and pharmaceutical institutions in Chernivtsi , equipped with modern equipment. Laboratories and classrooms , are fully-equipped, provided with necessary furniture and technical equipment in the size and number which are necessary for high-quality of the educational process , scientific, medical and advisory work . Classrooms equipped with modern information and communication technologies through the Internet server of distance learning , with all the electronic educational materials for every discipline taught at the university, including materials in English language. The university conducted online lectures from leading scholars from Ukraine and abroad. Since 2011we have a digital repositories - institutional electronic archive that collects scientific, educational and teaching documents and materials, and provides instant access to them via the «Internet». Students have possibility to use modern PC know-how, world`s informative networks in the process of study. BSMU consistently holds a decent position in the rankings of higher education institutions. 1st place among the top medical schools of Ukraine in terms of scientometrical database Scopus in April 2012, the University ranked 38th among the all universities in Ukraine and 8th among Medical . In 2012-2013 academic year at the University of studied 674 interns. 164 experienced teachers taught the interns(including - 48 professors , 87 associate professors, 29 assistant professors with extensive teaching and medical experience). Studying process was provided by 27 specialized clinical departments. Training of interns and pharmacist interns carried out in 31 hospital bases and 18 pharmacies . In 2012-2013 academic year was the first graduate of interns of "Dentistry Faculty" and " Forensic medicine". Also, our school is running in the distance learning system «Moodle», which allows medical interns to prepare themselves for passing a licensing integrated exams in any convenient time . This approach to training yields positive results. In 2012 at the faculty of postgraduate education improved their skills 2495 doctors from Chernivtsi , Volyn , Zhytomyr, Transcarpathian, Ivano- Frankivsk, Kyiv , Lviv, Odesa , Rivne , Sumy, Ternopil, Kherson, Khmelnytsky, Cherkasy regions and 143 pharmacists. Faculty of Postgraduate Studies provides all the backgrounds for the training of medical specialists and pharmacists , specialists in internship for training and retraining of doctors ( pharmacists) in specialties not provided for internship , but also organizes and provides a systematic improvement of professional knowledge and skills of managers and health professionals health. We welcome you to study in Bukovinian State Medical University. Bogomolets Kiev National Medical University is a leading Medical School in Ukraine, one of the best Educational Establishment of Higher Learning in Educational, Methodical and Humanitarian Activities, great leading Scientific and Preventive Care Centre. Educational process carries out by 48 departments which are responsible for curriculum development for all medical schools in Ukraine. In 2005 at University was implemented ECTS. Our scientists received 738 patents for invention, 200 contemporary research projects (annually), more then 50 research grants. Annually our students participation in international congresses conventions and conferences. University publishes 22 scientific magazines and thesis books. BNMU cooperates with Kaunas University ( Lithuania ), Institute of Public Health ( Poland ), University of Alabama at Birmingham (the USA ), University of Iowa ( the USA ), Karolinsk Institute ( Sweden ). For foreign students education is available in English language. Students from mre then 20 countries, including India, Israel, Iraq , Iran , the USA , Turkey , Sweden, Africa take their training in English. Here are specially training teaching staff for foreigners. 39 foreign students take part in clinical exchange programs in NMU. Currently at the BNMU trains more than 1156 students from 53 countries. Training at the Faculty of Medicine (in Russian) - $ 3100 per year. Training at the Faculty of Medicine (in English) - $ 4300 per year. Training at the Dental faculty (in Russian) - $ 3800 per year. Training at the Dental faculty (in English) - $ 4500 per year. Training at the Pharmaceutical Faculty (in Russian) - $ 3200 per year. Training at the preparatory department (for medical and biological) - $ 2,500 per year. Material and technical base: 161 training bases (including 120 clinical pharmacy bases), a private dental clinic, sanatorium, a sports recreation, 16 computer classes, student campus dormitory, library with fund for more than 700 thousand units of scientific literature and also electronic database supply, 2 computer reading halls with access to the Internet. For foreign students education is available in English language. Students from more than 17 countries take courses in English, among which are students from Israel , India , Iraq , Iran , USA , Turkey , Sweden. 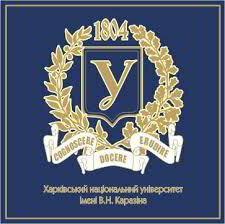 The winner of Kiyv Sofia prize for the best university rate among Ukrainian medical Education Institutions in 2001, 2004, 2005. The winner of a golden medal of the 9th International Еxhibition of educational establishments "Сontemporary education in Ukraine – 2OO6" in nomination "Implementation of Innovations". Diploma for great achievements in innovation development of educational process. 2 awards of International Exhibition "Education and career"
6 Diplomas of the 3rd National Specialised Exhibition "Health care industry-2006"
Foreign citizens may be accepted in clinical residency after graduating from high school and after obtaining a professional qualification of "doctor". Then they have an interview with vice-rector on educational work with foreign students and the head of appropriate department. After that students take the examination and after successful passing an examination students making a contract with University. Duration of training for foreign nationals is 1-2 years. Applicants will be interviewed and pass the exam in the relevant specialty. Preparation is carried out with a separation from production on specialties: obstetrics and gynecology, therapy, surgery, neurosurgery, urology, oncology, children's surgery, pediatrics, children's infectious diseases, infectious diseases, cardiology, rheumatology, endocrinology, neurology, psychiatry, ophthalmology, otolaryngology, dermatovenereology, traumatology and orthopedics, therapeutic stomatology, surgical stomatology, orthopedic stomatology, children's therapeutic stomatology, orthodontics, radiology, physiotherapy exercises and sports medicine, forensic medicine, Pneumonology, clinical immunology, anesthesiology and intensive therapy. We welcome you to study in Bogomolets Kiev National Medical University.